Millard Lefler Middle School opened its doors for the first time on September 12, 1955. Our school is named after Mr. Millard Lefler, a former assistant principal at Lincoln High and superintendent of schools from 1920 to 1948. During his tenure as superintendent, Mr. Lefler oversaw the implementation of the junior high school system, vocational training in the high schools, and adult education programs in the Lincoln Public Schools. Lefler is proud to continue his tradition of excellence. Welcome to Lefler Middle School, home of the Lions. It is my privilege to have the opportunity to serve the Lefler community as Principal and to join a skilled and caring staff that has a shared commitment to helping every student learn! Our school mission, Building a Community of Learners, guides our work and drives us to focus on continuous improvement and achievement for every student. To ensure student success at Lefler, our staff works together in collaborative teams to challenge students to reach or exceed all district learning goals. Our teachers and counselors know students well and work diligently to provide a safe, orderly, and respectful environment that promotes high levels of student engagement and performance. We focus on students as individuals and provide support programs necessary to ensure growth for each student. These programs include academic and behavioral interventions designed to increase a student’s ability to focus on learning. We believe that partnering with parents is essential and believe when parents and staff work together that student achievement increases. We encourage you to stay involved in your child’s school experiences throughout middle school and look forward to partnering with you during the course of the entire school year. All students and staff will collaborate to learn, improve, and achieve through engagement, effort, and self-efficacy. We are hoping to take our 8th graders on a field trip to the Lied Center to see Passing it Forward: The American Dream? by the Tapestry Dance Company. If you are interested in donating money to help defray costs, please click here to see how you can help. Thank You! There will be NO TRACK PRACTICE on Friday, April 5th due to the Hang Out. Also, please note that the track meet at Northeast is on Saturday, April 27th, not the 28th as previously listed. Mark your calendars for May 2nd and come bowl with us! Click HERE for more details including times, a registration link, and PRIZES! Please RSVP by April 19th so that we can get lanes reserved and make teams! Are you looking for something fun and educational for your student to do this summer? Click here to read about Bright Lights classes and how to apply for a scholarship. Applications can be submitted between March 23 and April 15 to be considered for a scholarship. It was great to see so many future Lefler Lions and their families at our open house for incoming 6th graders! If you were unable to attend or want to review the information that was shared, you can click HERE to see the slide presentation. All incoming 6th graders are invited to attend Cub Camp this summer! This is a great opportunity for you to meet teachers and other 6th graders, learn more about Lefler, and get a head start on transitioning to Lefler. Click HERE for more information including how to register. We are excited to welcome our new Lions! 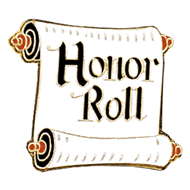 Congratulations to the following Lefler Lions who are on our First Semester Honor Roll! These students earned a 3.5 or higher GPA (grade point average) in their classes first semester. Click here to see a list of all the students who earned this honor. Keep up the great work, Lions! 8th Graders & Families: If you were unable to attend the First Steps to High School presentations earlier in October or if you just want to review the information, you can click on this link to see the presentation.